This 16mn documentary gives an insight into the transformation of skins in the small French town of Millau. Butchers divide an animal into four quarters, each of them intended for consumption. The fifth quarter, then, is anything that is left and cannot be eaten. The animal skin is an example. This film ‘Le 5ème Quartier’ documents the slow metamorphosis of the skin of the Lacaune sheep from a by-product to a luxury material. 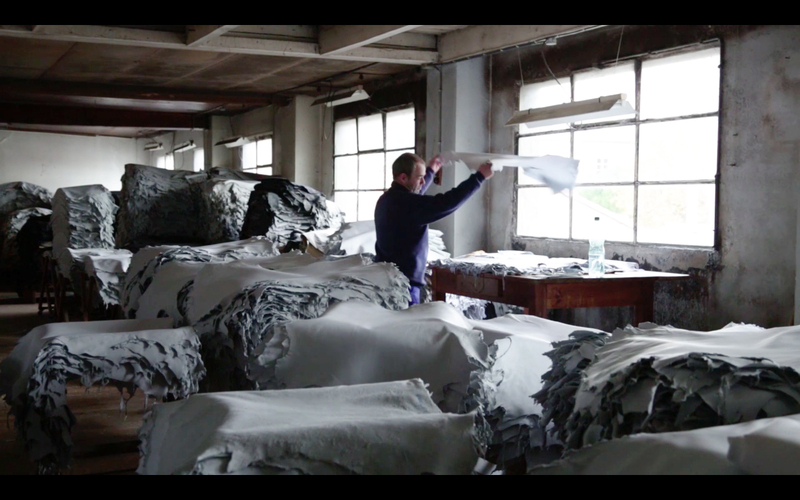 The film also explains how the quality of the leather becomes degraded, and how tanneries in the French leather-producing region of Millau are having to import skins from Spain.